It’s been a while…hasn’t it? We’re talking about the last time we had an Extravaganza! Whether you’re a new or experienced player, now is your chance to test your skills against the rest of the dodgeball-verse in this carnival style event. Think you can throw the hardest? Think you have the aim of a laser beam? Or are you the showdown champion of Vancouver? Whatever your talent may be, come and show us what you’ve got! 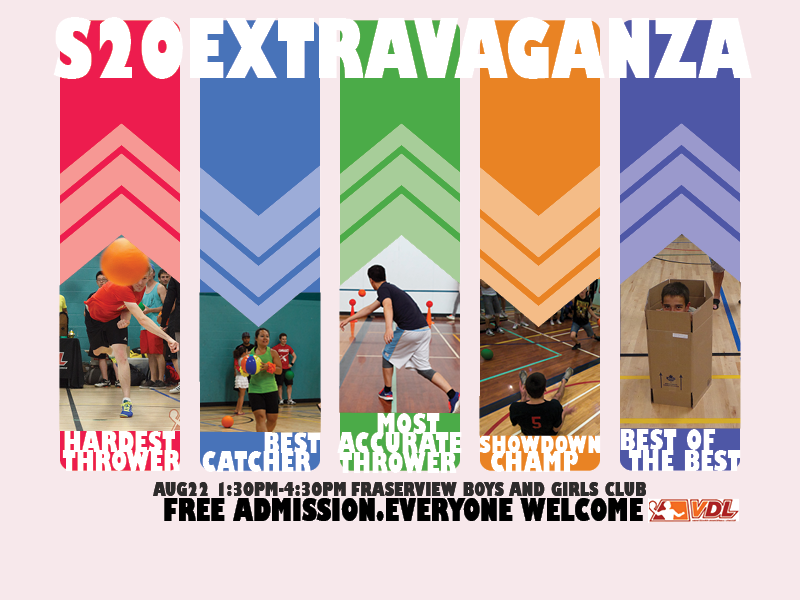 What to Expect: Prizes for each skill competition (Hardest Throw, Best Catcher, Most Accurate Throw, Showdown Champion). In addition to this, you’ll get a chance to win an extra special prize for participating in every event! Various versions of BADG’s* will be played at the end of the day. *Big A$$ Dodgeball Games. Now you’re in with the lingo.